One of the most difficult things that you’ll ever have to do is propose to the one you love. Asking those few little words can seem like the most daunting task in the world, but it doesn’t have to! We have compiled a list of four fresh and quirky ideas on how to propose to get married or engaged. With a little ingenuity, creativity, and plenty of care, you can make your lover swoon and get all the love and affection that you deserve. It’s all about how you frame the question, what you decide to do when you ask her, and what you ACTUALLY plan on saying. How everything comes together eventually defines whether you’ll be successful or not. Gauge the situation. Ask a few jokes, and joke about getting married. 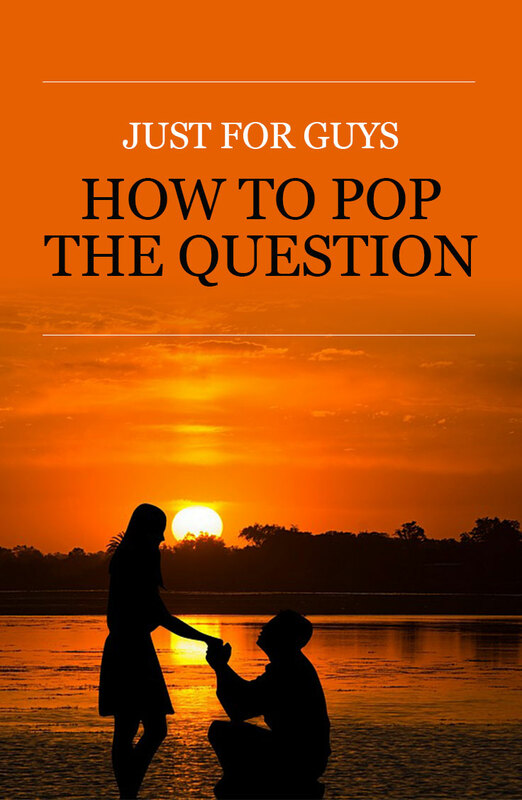 If she doesn’t seem too excited about it, or is staunchly against getting married (many women these days are) you should be cautious before you ask this important question. There’s nothing more embarrassing than getting ready to ask that all important question and getting shut down or denied in a public place or event. Maintaining your cool, keeping everything composed, and doing research is key to having a good time. If you’re not absolutely sure that they’ll say YES (hopefully very loudly) then don’t ask them in a crowded, public place. Unless she’s mentioned that she thought it was “adorable” or “sweet” DON’T put her name on fortune cookies, or up on jumbo-trons, or over expensive dinners. The reason is because you don’t want to stand out, not settle. This all comes down to preparation. Don’t leave it up until the last moment if you’re serious about being with a person forever. Not only does it show that you’re rushing into a situation and not thinking about the details, but imagine what you COULD have done with a little more time put into planning, brainstorming and preparing. Instead, without a plan you’re often ending up trying to wing it, getting flustered or making a mistake. Plan the event so it’s worth her taking part in. Trust us. When you’re planning out a wedding proposal, you’re literally keeping a secret from the one person that you hopefully tell everything to. Don’t blow your surprise or lose your composure. Women naturally figure these kinds of things out, but it’s important to stay calm. Don’t be afraid to step out of the box and away from your comfort zone. Do what she wants, not what you think would be “cool.” Imagine the past memories, where you stole her heart, and try to implement your proposal around these details. Don’t just give her the ring, but you also need to think about what you’re going to say. Imagine your proposal speech as a step up to your wedding speech: what do you love about her, why do you want her to be your wife, and what are you most looking forward to about marriage? Choose the most heartfelt basic things to say to her, and keep it emotional! You’ll gain major points by bringing out the water works and getting her heart involved. We’ve said it once already and we’ll say it again DON’T neglect the details. Incorporating specific moments, details, and thought into your proposal proves to her that you’re the one because you know the most about her, know what she wants, and know her best. Use your proposal to incorporate her interests, planning out the “icing on the cake” that brings the best parts of proposing together to make the event memorable. It’s essential to set the mood, showing how well you pay attention. If you’re stumped, there are a few favorites: the park, a landmark, your favorite vacation location- anything. First things first, think about how you’re going to propose, and work “where” into your creativity. Imagining what you’re going to do and then where you’re going to propose gives you the opportunity to expand ten fold or more beyond simply stating a place. You could even take her to a musical and use the production booklet to get her name across! Be unique, be magical, and most of all, think about it! Getting proposed doesn’t have to be overwhelming, but it is supposed to be an important, thought invoking part of your life. If you don’t put thought into the action, follow through with the things that are important to you, and keep pursuing these emotional, heart-felt connections, you’re not going to get the reaction that you deserve, and you’re going to be disappointed. So do it right!